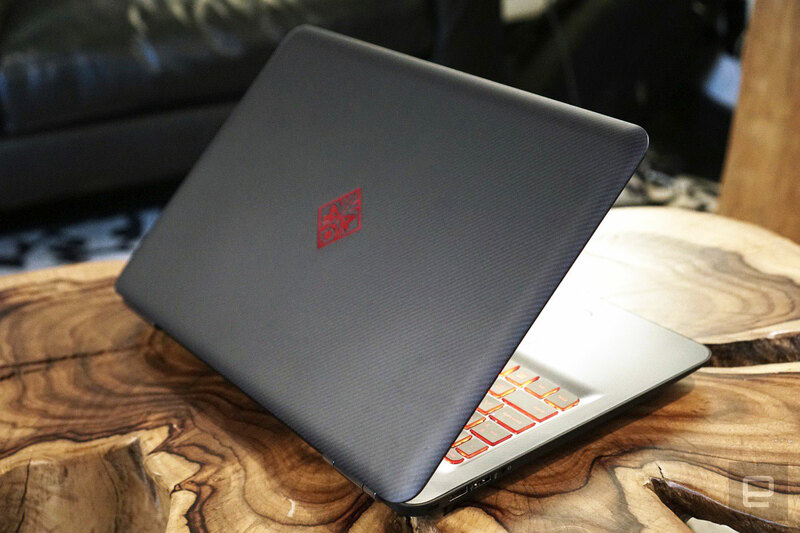 Omen is now HP's flagship gaming brand. 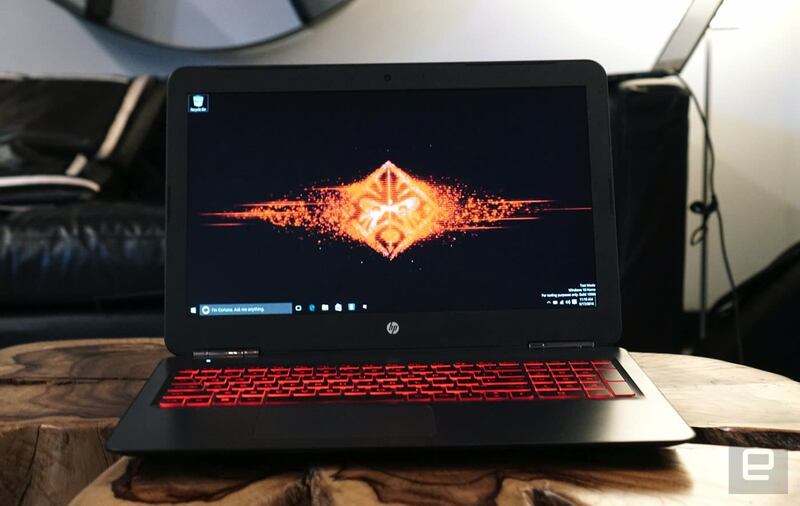 HP gave us a brief taste of the legendary Voodoo PC gaming brand with its Omen laptop nearly two years ago. Now, the company is bringing the Omen name to all of its gaming hardware -- a new lineup of laptops and desktops as well as a 32-inch quad-HD monitor. On the laptop side, HP is going is going for more aggressive pricing, starting at $899 for the 15.6-inch model ($980 for the 17.3-inch model). And with its new Omen desktop, HP is aiming to be VR ready with enough power to run the HTC Vive and the Oculus Rift. While it's nice to see Omen laptops at a lower price, HP had to downgrade the machines a bit to make that happen. (In many ways they're more reminiscent of last year's Pavilion gaming laptop.) The biggest difference: Instead of aluminum unibody cases, the new laptops have plastic cases with a "black shadow mesh" design. And instead of multi-colored keyboard lighting, they only feature red lights. The laptops felt pretty solid during my brief hands-on time though you'd never mistake them for a premium metal design. The hinges also felt a bit more wobbly this time around. The Omen laptops now support up to NVIDIA GTX 965M graphics and sixth-gen Intel Core i7 processors. They can hold a maximum 16GB of RAM, and you'll have the choice of up to a 512GB SSD or 2TB hard drive (some configurations also allow for combination of SSD and a traditional hard drive). As with many laptops today, you can also add in an Intel RealSense Camera for an additional cost. As for that Omen desktop, it looks like... your typical mid-tower desktop. The brief bits of design accent are the brushed metal facade and red lighting on the front. Otherwise, it's fairly ho-hum. At the highest end, you can configure it with an Intel Core i7-6700K processor, 32GB of RAM, a 512GB SSD and a 3TB standard hard drive. Naturally, you can also configure the desktop with NVIDIA's new GTX 1080 Founder Edition card, or if you prefer AMD, a Radeon R9 390X. There's also optional water-cooling, which could be helpful if you pick up an overclockable CPU. Rounding out the motley crew of Omen products is a new 32-inch monitor with support for AMD's FreeSync technology, which helps smooth out performance due to framerate variability. As I mentioned above, it's a quad-HD display, which means it packs in a 2560 x 1440 pixel resolution. While it'd be nice to see a 4K display from HP, quad-HD is also a far more sensible resolution for most gaming rigs. There's no pricing for the Omen monitor yet, unfortunately. The Omen laptops will be available on July 10 at Best Buy and HP's website, while the desktop and monitor will ship in August. The big news here, really, is the new branding. 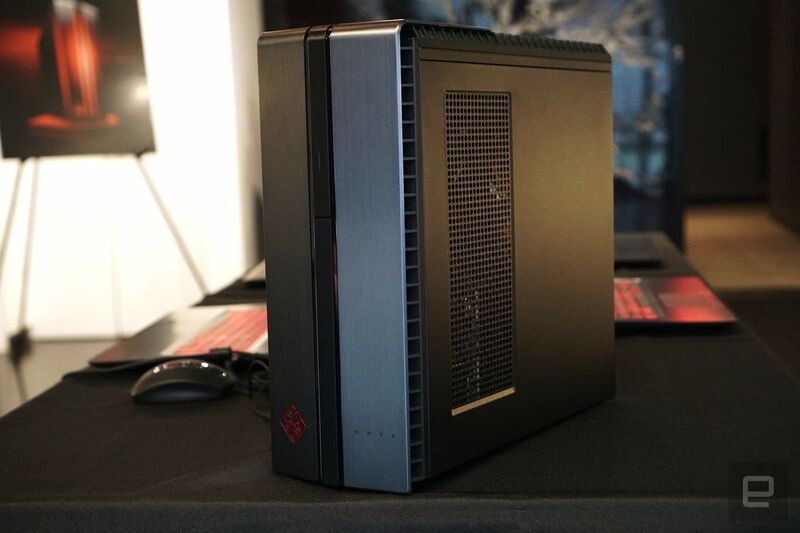 HP has offered powerful systems across several product lines over the year, but by focusing on the Omen brand, it gives consumers an easy way to know which machines are powerful enough for serious gaming.